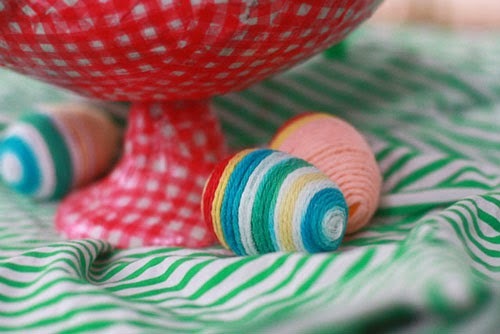 Dyeing eggs is always a fun Easter craft, but why not cut the mess and create colorful, long-lasting eggs with three simple materials? These could not be easier to make. 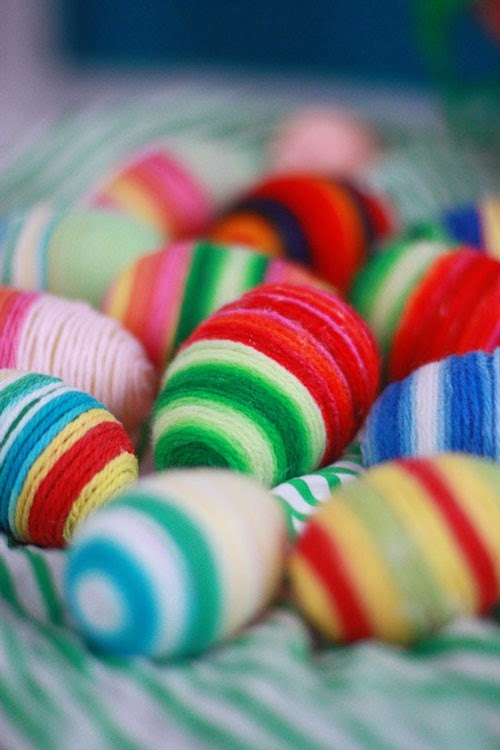 And what a great way to use up those extra yarn bits from your craft stash! 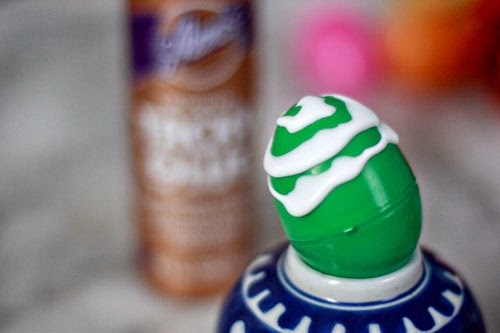 Spiral glue around the top of the egg covering roughly half the surface area. 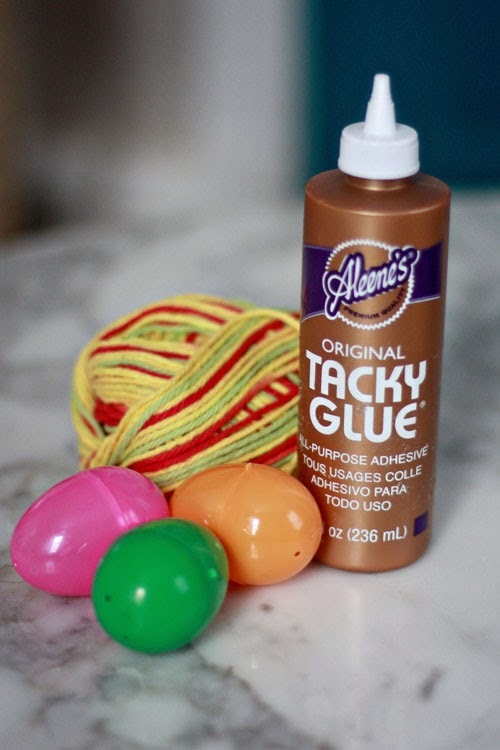 Tacky glue is the critical element in this craft -- hot glue will melt the plastic and eventually pop off, and regular white glue won't hold the glue in place long enough to let it dry. 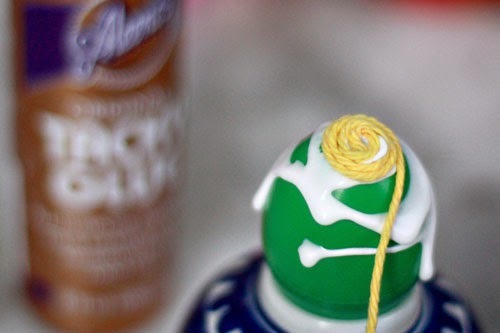 Tacky Glue is super thick -- the perfect medium for this project. 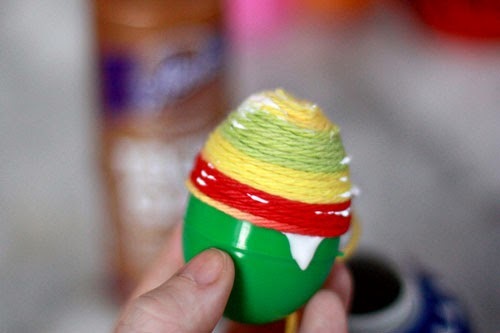 With your fingers, create a small spiral of glue at one end of the egg. Make sure it's right in the center or the next steps may come out a little wonky. Continue spiraling around and around. This may seem odd at first but it will go quickly after you get the hang of it. And don't worry about extra glue coming through the seams, it's easy to dab away big blobs with a wet sponge at the end, and any other residue will dry clear. Well, would you look at that. That's it! 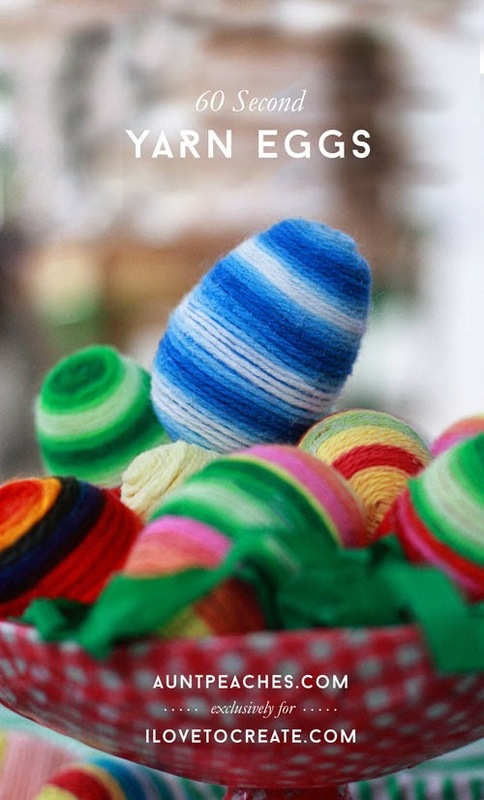 But, who says Easter is all about pastels? 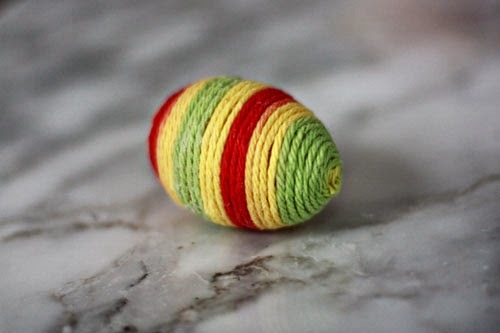 For a fun twist, try alternating yarn halfway through. You can make all sorts of color combinations. Wouldn't you love to meet the hen who laid these eggs? Now that is one funky chicken. 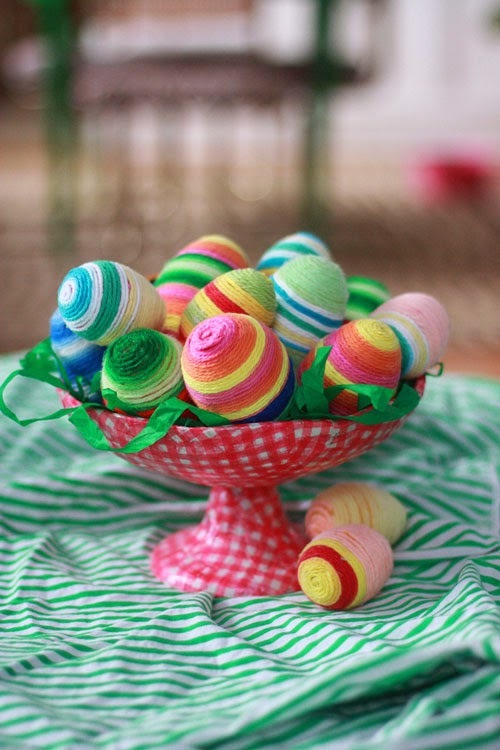 Feel free to check out more Easter crafts on my blog.